CCDSoft, Photoshop CS w/ the Fits Liberator plugin, Russell Croman's GradientXTerminator and Noel Carboni's actions, Sigma Clip (pre beta 11) and Paint Shop Pro. 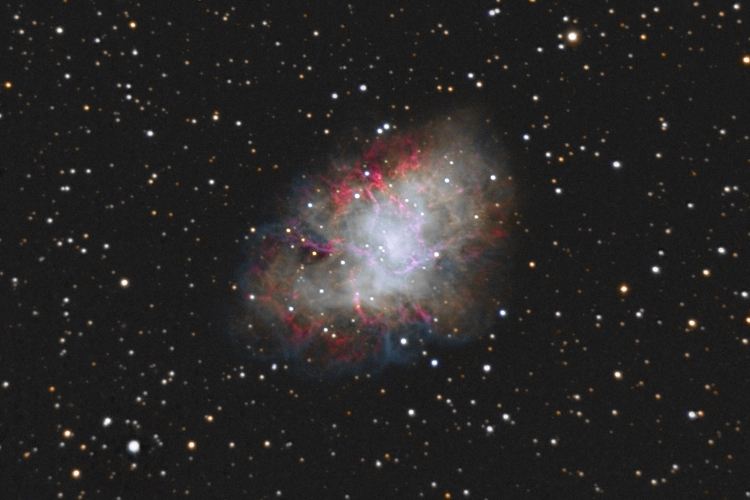 The Crab Nebula, located 6,500 light-years away, is the result of a star that was seen to explode in 1054 AD. This spectacular supernova explosion was recorded by Chinese and (quite probably) Anasazi Indian astronomers. 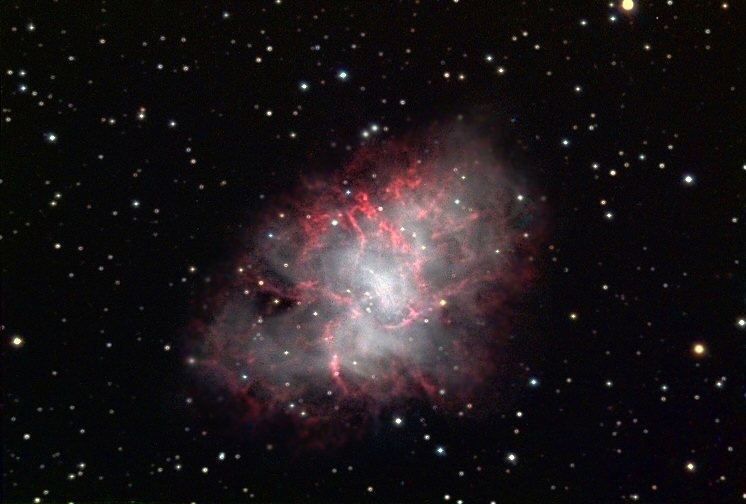 The filaments are mysterious because they appear to have less mass than expelled in the original supernova and higher speed than expected from a free explosion. In the nebula's center lies a pulsar: a neutron star rotating 30 times a second.